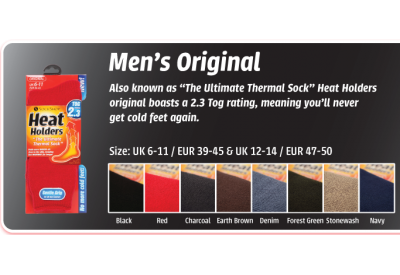 Heat Holders Thermal Socks (original) are the ultimate thermal sock. 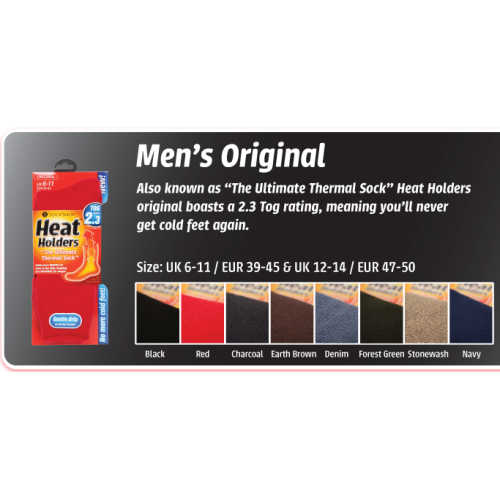 Heat Holders hold more warm air close to the skin, keeping feet warmer for longer. Heat Holders have an advanced insulated yarn, a long looped thermal pile and a soft brushed inner. Heat Holders are over 7 times warmer that a basic cotton sock!